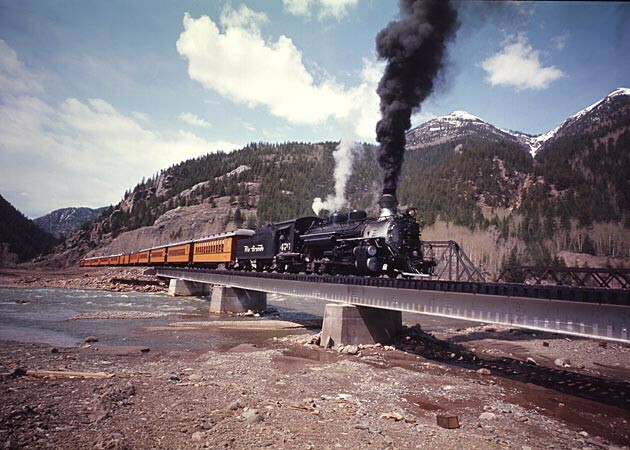 First crossing of the new bridge in Elk Park by a scheduled train, May 1965. 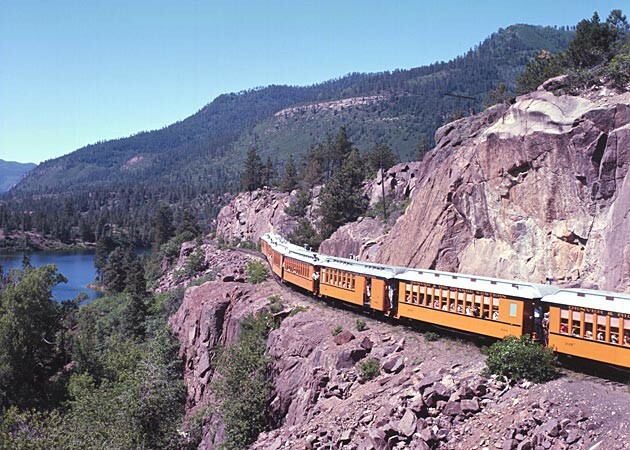 The Narrow Gauge train with Shalona Lake below in 1964. 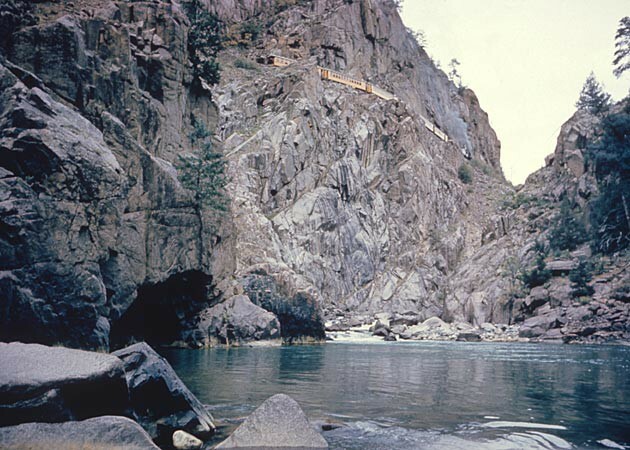 The train is rounding the cliffs 700 ft. above the Animas River a mile from Rockwood. 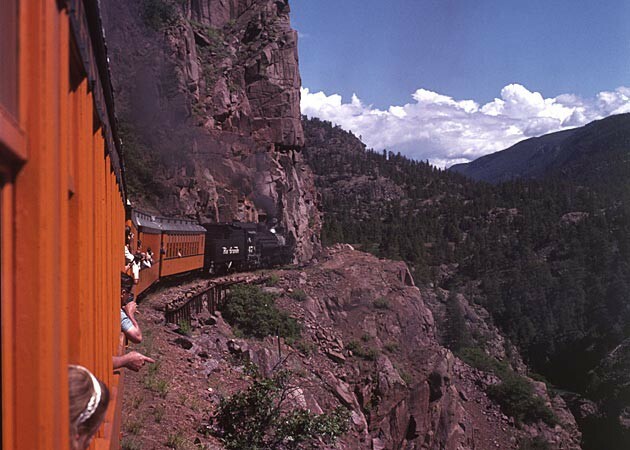 The Durango & Silverton Narrow Gauge Train winding through the Canyon of the Lost Souls above the Animas River. 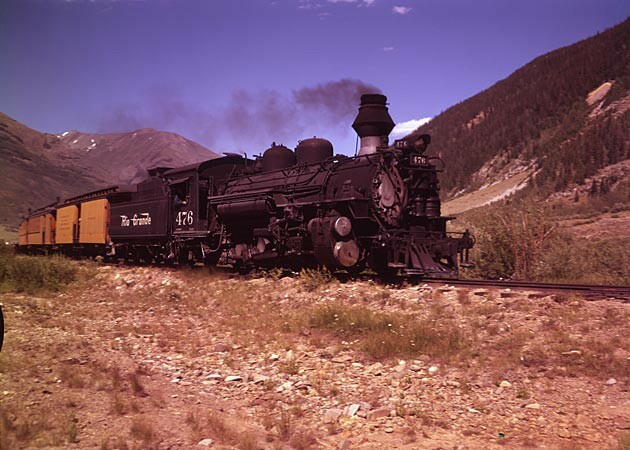 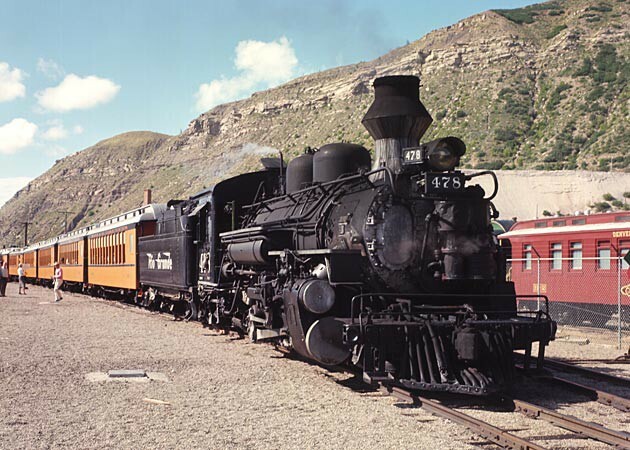 Train traveling between Silverton and Durango in 1960.